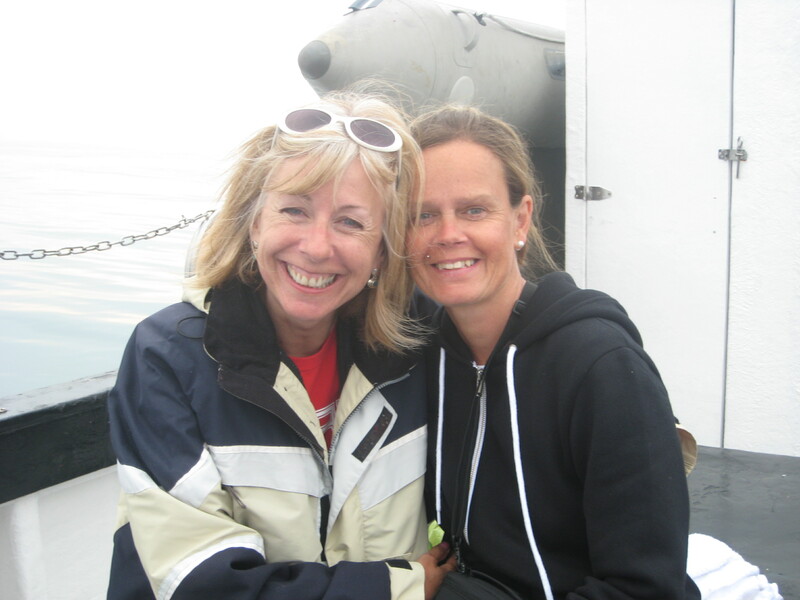 Tuesday morning was calm seas as we boarded the Louise Jane in a nervous silence. We set out from Dover Harbour to Samphire Hoe Beach where we would start. 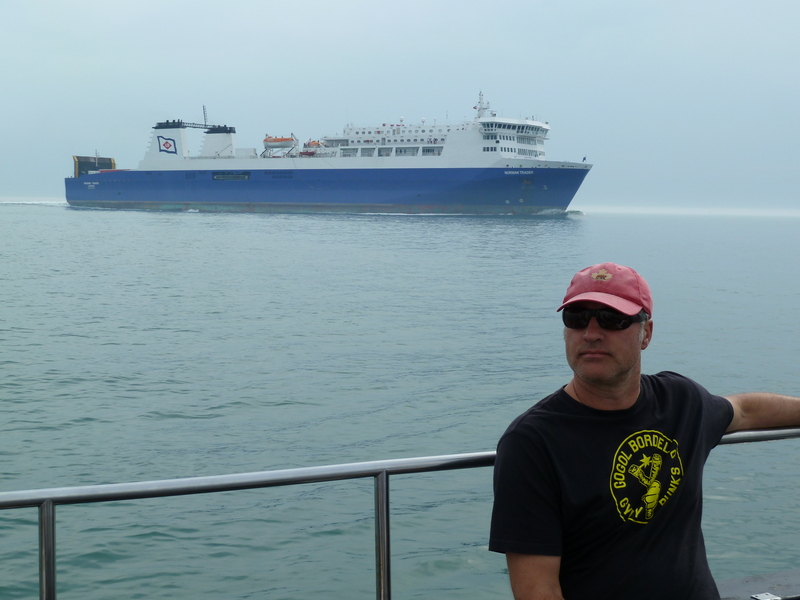 The crew consisted of Andy the pilot, Andy the first mate, Steve the official observer from the Channel Swimming Association, Bonnie Curtis, Greg Gjerdalen, John Hamilton, Hugh Johnston, Hannele Gjerdalen, Luke Gjerdalen and Cole Gjerdalen. First order of business was for my crew to apply grease to avoid chafing in salt water and maybe warm the body a bit. 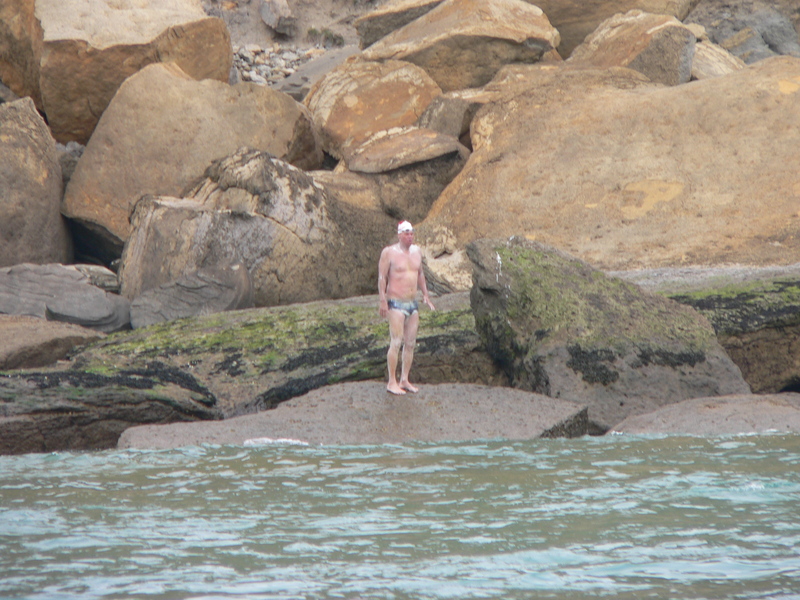 Andy came within 300 meters from shore where I took the plunge into the 15’C waters and swam to shore. Once I cleared the water line the official observer blew his whistle and started his watch and I started my journey to France. The first 2 hours were spent thinking about family and friends, including my mum who I would dedicate the swim too and asked to keep me warm. 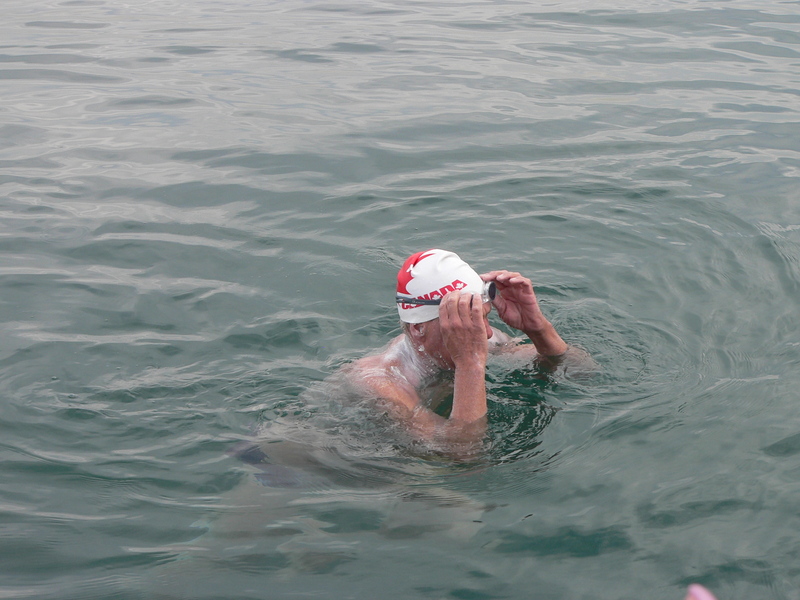 At 2 ½ hours my support swimmer Greg jumped in and swam beside me for an hour. This would prove to be great for moral. At 4 ½ hours I had my first “crisis”. I was in that horrible place where the “demons” start to play with your mind. Their argument was that if the water was to stay at 15’C for the next 8 hours how would I manage. This proved to much for me and I told the crew that I was having a hard time and was thinking about giving up. I will never forget the adamant response they gave me and that was… “you can do this…two years of training…think about it”. and then Andy poked his head out and said “are you tired Rod” I said “no” he said “your not even shaking man” and before I could say anything else, he said “put on your googles and lets go”. I remember putting my goggles back on and starting to swim. I was mad and angry and full of self pity because these guys had no idea what I was going thru and who were they to comment from their nice warm boat. I made a pack with myself that I would prove to them how cold I was and that their pleas to continue were of no use. Support swimmers can swim for an hour with you then they have to get out for an hour. 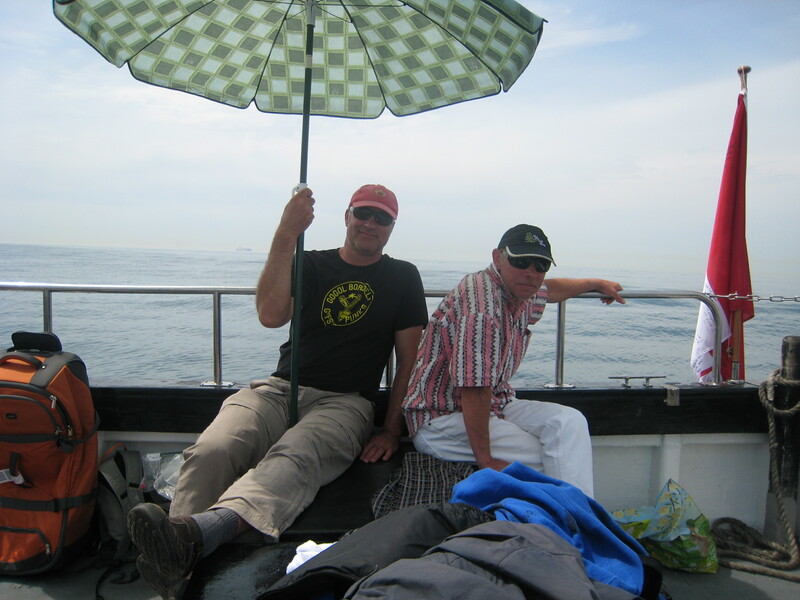 Greg proved to be a vital part of the swim as I would anticipate his presence and hence boost my spirits. At 8 hours the feeding plan went out the window. The high carbohydrate mix was starting to come back up and cause stomach cramps. I switched to solid food which threw my main feeder and fiance Bonnie into a frenzy. I asked for muffins, bananas, melon, hot water and coffee. I continued this for the next 4 or 5 feeds. I don’t know why but I was starting to feel stronger and could actually see France. 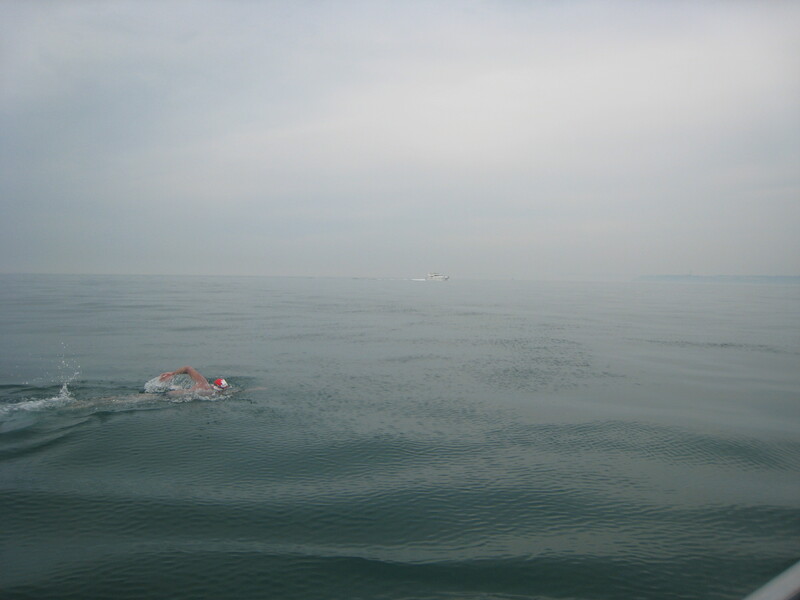 At 10 hours we were close to Cap Gris-Nez and the water was calm. I was strong and warm at this point, thinking maybe I can do this. 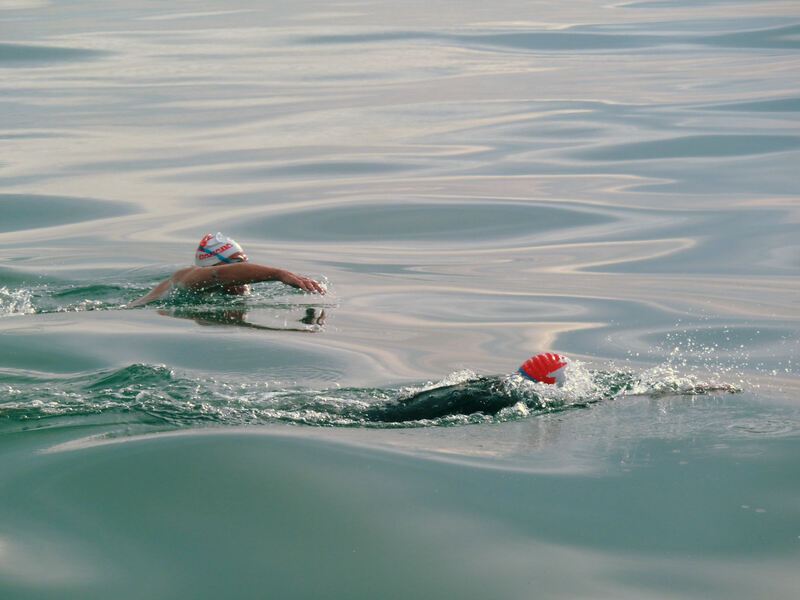 I have learned from previous swims never take anything for granted and stay focused. At 11 hours France was clearly in sight. 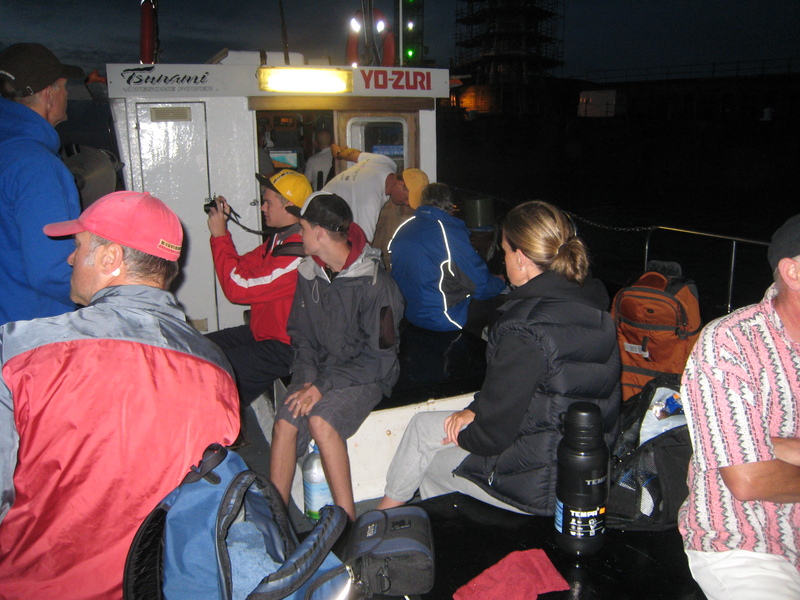 At 12 hours Andy put the tender in the water and escorted me to the landing area which was just south of Cap Gris-Nez on the rocks. I will never forget looking over at the greatest crew of friends that have come all this way to be part of this amazing journey. I took them from one extreme to another and for their patience and support I am truly grateful. At 12 hours and 21 minutes I climbed on the rocks, cleared the water line, raised my arm just as the official blew his whistle. The crew cheered and the Louise Jane blew her horn. 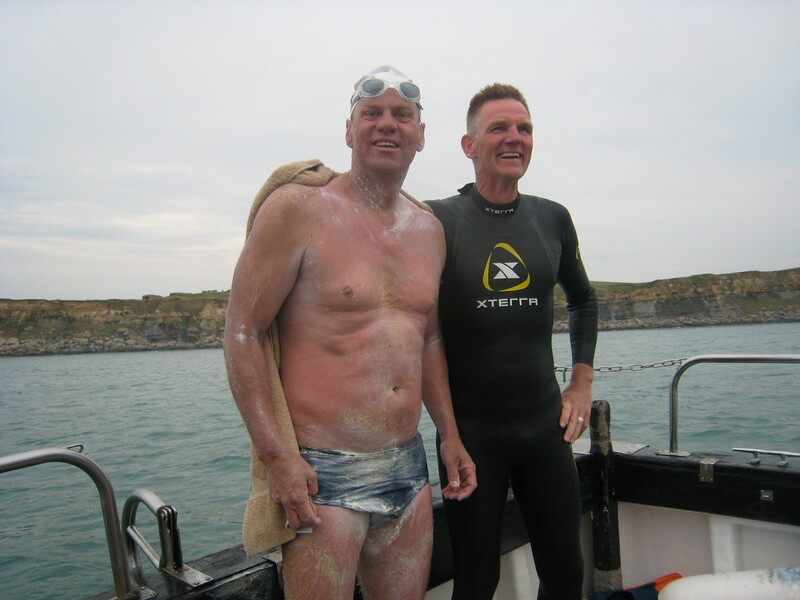 I had just swam the English Channel! We are so proud of you. What a story. You are amazing! It must be wonderful to have conquered this with the support of friends that I am sure are actually family now! What an courageous achievement of a lifetime. I am wowed by your accomplishment Rod. Hey Rod- you made it sound like a you knew what you were doing. Such an arduous task puts so many aspects of the daily grind into perspective. See you back at work in a couple of weeks. Like I said before….. “You da Man Rocket”!! Very moving to read,Very proud to be part of your great accomplisment , Senior Games next year I will sign you up. Very moving to read,Welcome home. Wow Rod you made me cry again! Damn you! What a challenge and what an amazing adventure. You did it and you are awesome! To your crew…they were obviously the best crew to be there with you, support you, love you. Congratulations and we all can’t wait to see you! Awesome, Rod, absolutely awesome. We are so happy for you. I remember when Marilyn Bell did it in the fifties she was an international hero. Great to have a dream and realize it. Well Done “Outstanding” Rod and to your support crew. 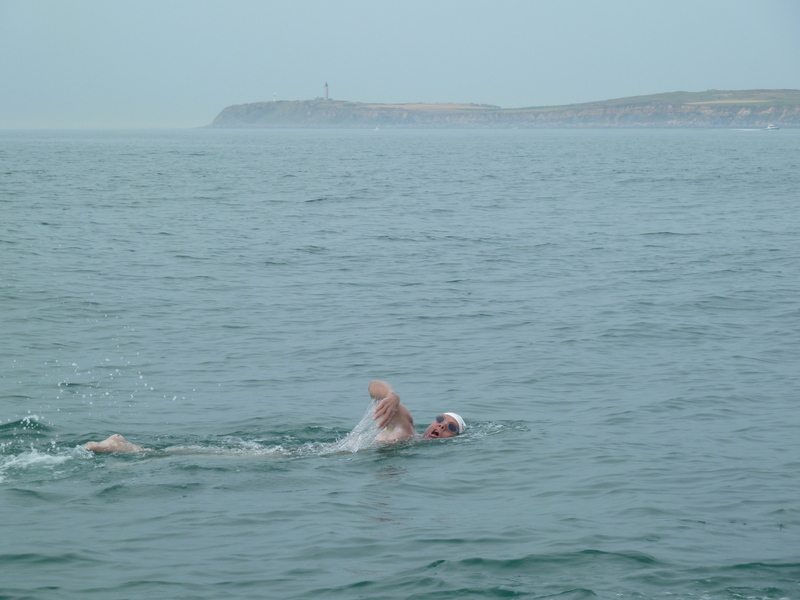 Having read all about your swim I am now wondering…. 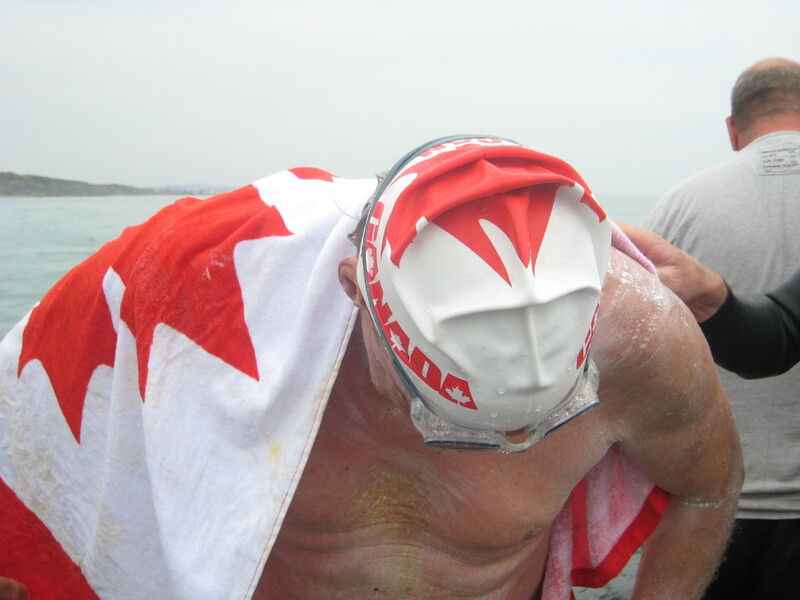 do you think Greg G. has got the swimming bug and will want to cross the channel himself someday? Also did he have to do any special training to keep up with you for half your swim? Did it remind you of old days when you used to swim together? Wow! great story rod! Sounded like an awesome swim. 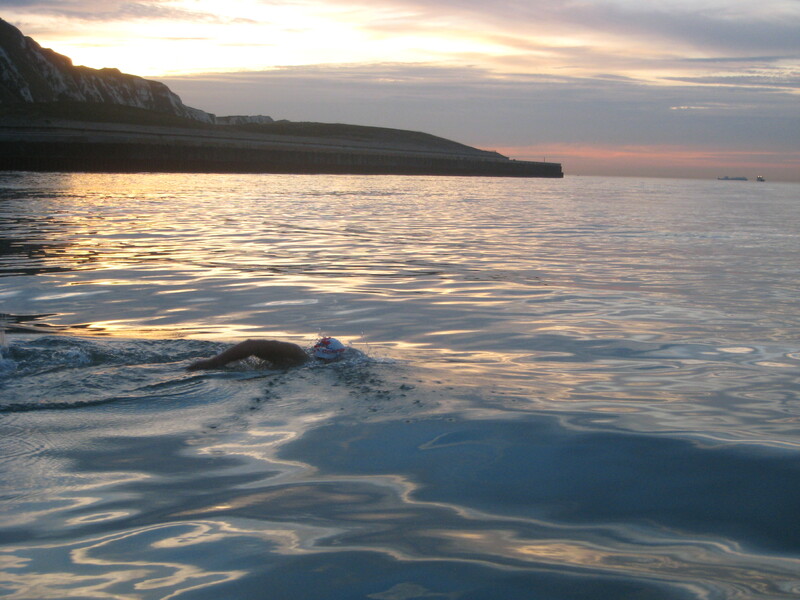 From the pics the water looks really calm, was it the whole swim? Congrats Rod, I would say you have the determination and heart of a skateboarder. Truly an outstanding accomplishment Rod. I look forward to hearing about it in person one of these mornings at a 5:30am practice! Dreams do come true. But obviously, in your case, not without a tremendous amount of effort and inner strength. I’m so thrilled for you – and grateful for all the support you had to make your dream a reality. It’s one of those things that to talk about is easy – but to achieve takes years to do so. And you, my friend, have done it! Enjoy the rest of your trip and celebrate gleefully! Rod, you’re amazing! What an accomplishment. You are an inspiration to the whole swimming community. Well done! OH MY GAWD! What a gold medal performance. 2010 has been a great year. Way to go Rod. For staying brave and achieving your goal. I had a very good cry at your accomplishment. A lovely event but only sweeter with all the crew and buddy swimmer. I ‘m exhausted from reading your story as I am known to get tired by just moving to the other end of the bathtub! What an unbelievable pair of achievements. Having lived in Cornwall England for just over a year I can’t imagine you making that crossing. I could barely stay warm on a boat in that water! I had never seen water where the waves were as big going out from shore as in. What an amazing, amazing achievement, congratulations to you Rod, whats next Mr. Bond a parachute jump from the Eiffel tower?